I've posted a recipe for Pesto Butter, Creamy Pesto Pasta, Butternut Squash Ravioli with Pesto Butter, Herb Butter etc...etc... But I realized a few weeks ago, that I've never posted my favorite recipe for just good old Pesto! 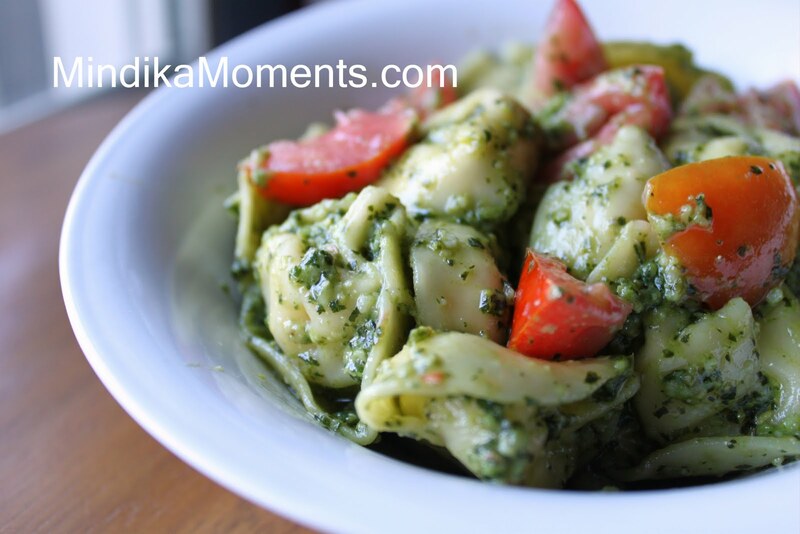 I love this recipe because it has a little twist on most standard Pesto recipes; a surprise of mint in the sauce. The mint gives it an edge of flavor you don't expect. But the best thing about pesto is the overall versatility of this stuff. There are so many things you can do with Pesto. I have some awesome recipes with pesto and I plan to post some over the next little while, but in the mean time here are a few ideas to tide you over. I could go on...but you'll have to wait for the recipes! This particular night I tossed the pesto with some cooked tortellini, and some fresh tomatoes from our garden. It was delicious! 1. Combine all ingredients in food processor or blender and blend until smooth. I love Pesto. What a great idea to add a little mint! YAY!!!!!! I'm SOOOOOOOOO happy! 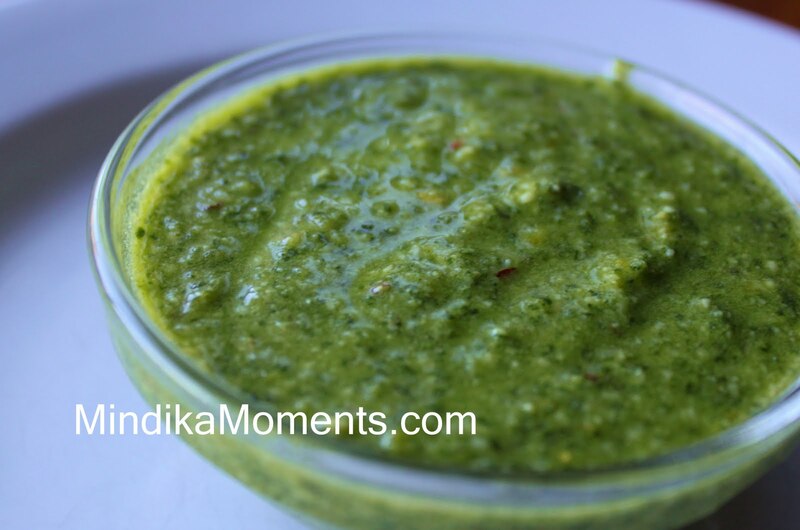 I've been looking for a yummy, basic pesto recipe. I have 3 basil plants in my garden this year for this very thing. Thank you, thank you, thank you!!!!! My daughter-in-law keeps me supplied with fresh basil...I keep making pesto again and again. Like your recipe for Butternut Squash Ravioli! I really need to start cooking with pesto. I've tried it at least twice. Looks delicious, thank you! Oh I love pesto. I should make it more. I wish I still had my basil plant - so much cheaper than our pricey grocery.